Job o’ the Day: Community Law and Policy Intern at the Center for Collaborative Change in Newark, NJ! The Center for Collaborative Change is seeking an energetic, dedicated graduate student or recent graduate with inter-disciplinary skills and a passion for collaboration to join our team as a Summer 2012 Community Law and Policy Intern. Current projects that interns could be involved with include a community wide needs assessment for Newark, community input portions of the Newark Master Plan, and a non-profit community organization incubation summit. The Center for Collaborative Change is a community-based nonprofit that brokers collaborative solutions to make Newark thrive. Our mission is to engage community and civic leadership in policy and program development in order to accelerate Newark’s revitalization while ensuring that the process includes and responds to the priorities of its community members. The Center is committed to restoring trust between Newark’s decision-makers and residents, realigning them to be on the same team, and using the knowledge and resources of that alliance to establish a critical mass of reforms that will bring Newark to a tipping point where a positive cycle of health, abundance and opportunity can achieve momentum. For more information about the Center, please visit our website: http://www.newarkchange.org. See the full listing at PSLawNet! The Alabama legislature approved Wednesday changes to the state’s controversial immigration law – keeping key portions intact while adding a new provision to publish the names of undocumented immigrants who appear in court, regardless of the trial’s outcome, according to reports. The state’s House and Senate approved changes to the law that would require the Department of Homeland Security to post a list of undocumented immigrants who appeared in court for violations of state law, even if they are not eventually convicted of a crime, reports the Montgomery Advertiser. The bill kept in place the immigration measure that has generated the most controversy: the requirement that police verify the immigration status of anyone they suspect of being in the country illegally, according to Reuters. . . . The changes in the immigration law are partly due to an embarrassing incident in which a German Mercedes Benz executive was detained after failing to show proof of his immigration status – he was later released after the governor’s office intervened. To address this, an amendment passed Wednesday would allow individuals to use a credit card or a voter ID to prove residency status if the person does not have their state driver’s license handy. 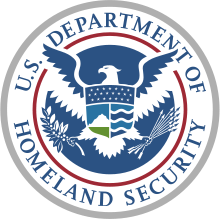 Job o’ the Day: Intern in the Office of Civil Rights & Liberties at the U.S. Department of Homeland Security in D.C.! The U.S. Department of Homeland Security Office for Civil Rights and Civil Liberties seeks to provide motivated law students entering their second or third year of law school with a summer internship opportunity in Washington, D.C. The internship will provide experience in the fields of Constitutional Law, Administrative Law, Homeland Security, and the practical workings of the Federal Government. This is an unpaid position with no relocation expenses available. Students are free to seek funding or course credit for the internship, but should resolve those issues with their own law school administrators.